The Italian Food + Wine Festival is back, and it's bigger than ever, spanning two cities: Sydney and Melbourne. 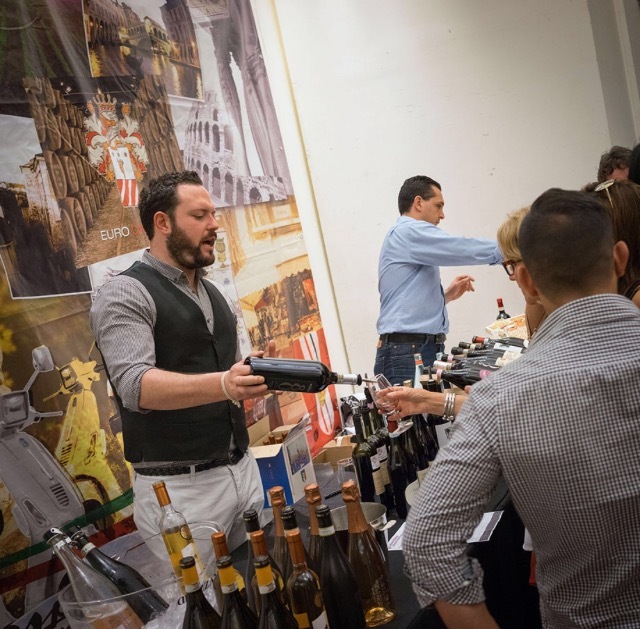 The premium Italian food and wine events was created in 2013 by Lara Caraturo, an award winning sommelier and passionate Italophile, and it celebrates Italian wine and food culture in Australia. Produced by Lara and the team at Progetto Panevino - an events company obsessed with all things Italian wine and food, it shines the spotlight on real artisans, quality wineries, renowned chefs and personalities. Its purpose: allowing guests to discover industry icons as well as rising stars, and deepen their love for authentic Italian wine and food. Think: exploring Italian wines region by region, devouring food, coffee, and beer, plus eating pizza, pasta and snacks. You can experience the true Italian lifestyle via the festival's workshops, plus you can meet producers, talk to the experts, watch live food making and cooking demonstrations, and paying homage to tradition and showcasing innovation. My fave pitstops? The Negroni bar with some swift Italian guys mixing it up on the spot. The fresh food options. And the smell of red wine, and new possibilities on faves. Follow all the social media convo on this hashtag, across Twitter and Instagram. And: Josie's Juice readers can win tickets to the event - more on that below. Josie's Juice blog fave The Wog With The Grog will be at the festival, showcasing his exclusive Damilano wines to a 'hungry for new wine and food' audience. See and buy his range HERE - or buy the reds and white Damilano at the event! For more on the festival, go HERE. To buy tickets, go HERE. Winners will be advised by email, by Friday 19 August. Good luck!